Thanks for verifying. We will now review your request and get back to you as soon as possible. Thanks for verifying. Please enter your credentials to login to your newly created account. * These fields are required. Your privacy is important to us. SIGN in to our online project library! Sign in and get access to a well-assorted range of client stories. It only takes a few seconds. 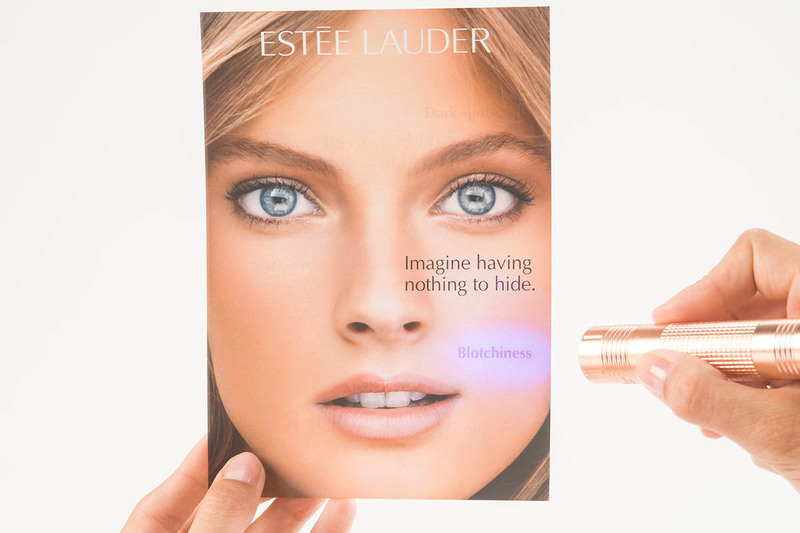 The ESTÉE LAUDER team searched for a truly engaging and educational activation tool to support their UV product range. The solution also had to be able to assist Beauty Advisors in changing selling to consulting. HOW DID USP SOLUTIONS HELP? HOW DOES THE TESTER WORK? 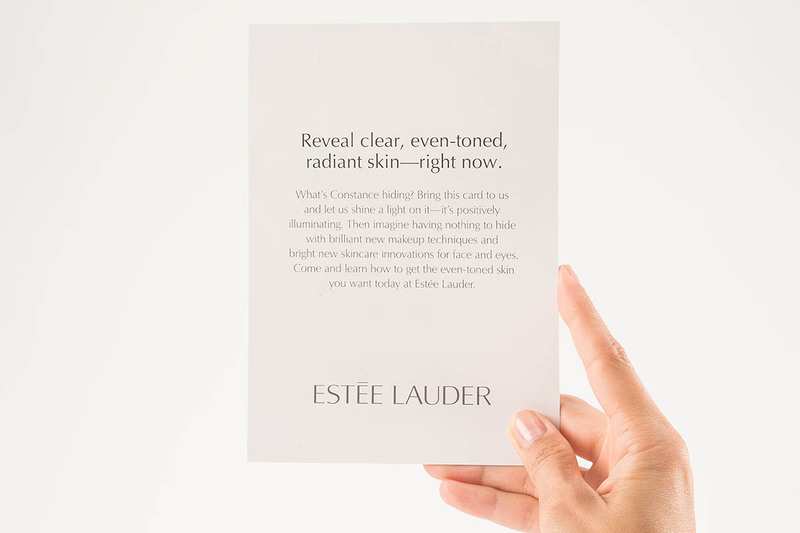 With summer season approaching ESTÉE LAUDER faced the challenge of showing consumers the importance of UV protection, thus creating their need for a SPF product. The desired solution also had to be highly engaging, whether it be via conversation with a beauty advisor or through mass marketing. 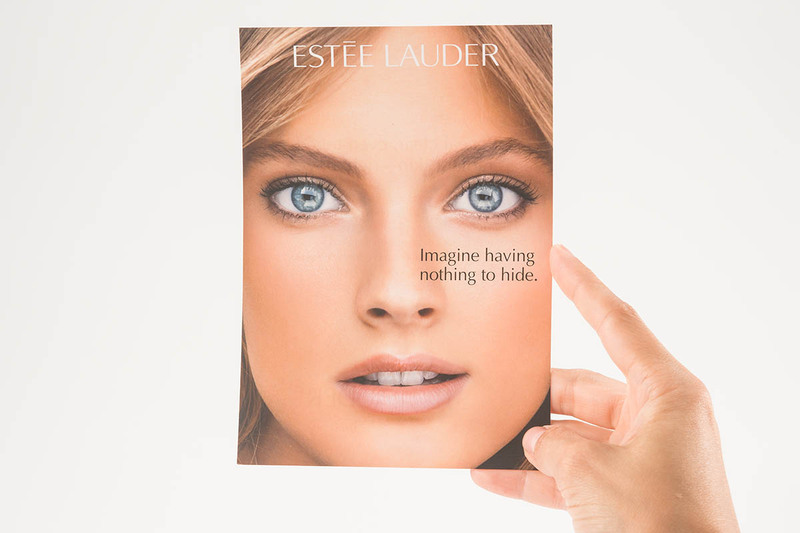 Meeting ESTÉE LAUDER’s expectations for an educational activation card as well as proving the SPF product’s efficiency was the core of this project. Our experts planned on developing a solution that also created consumer excitement through integrating a haptic experience. 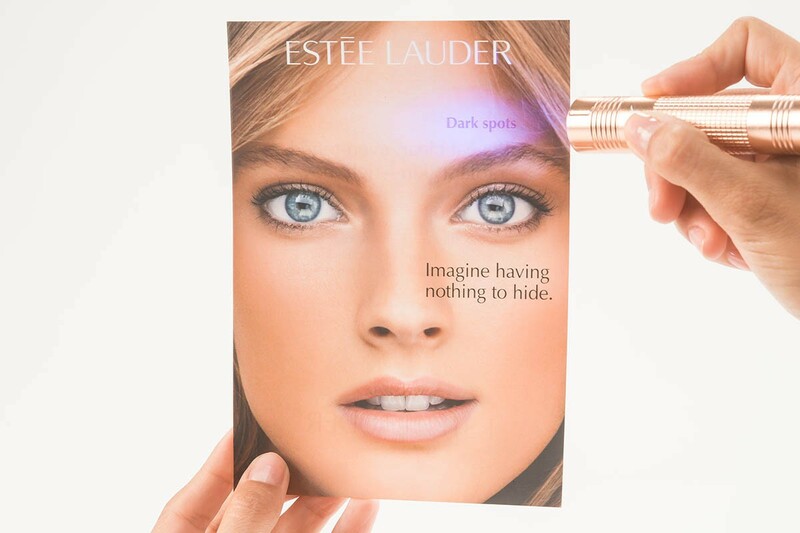 After sending various prototypes out of our UV-Technology range to the ESTÉE LAUDER marketing team, it was agreed that the UV Protection Technology would be the best fitting technology for this campaign. Once the technology type and activation details were agreed upon, USP solutions took care of the following steps – artwork creation, printing and on-time delivery. 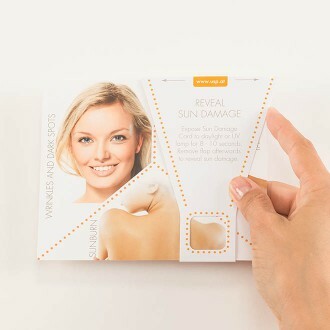 The Sun Damage Test from USP Solutions simulates the sun’s damaging impact on the skin. 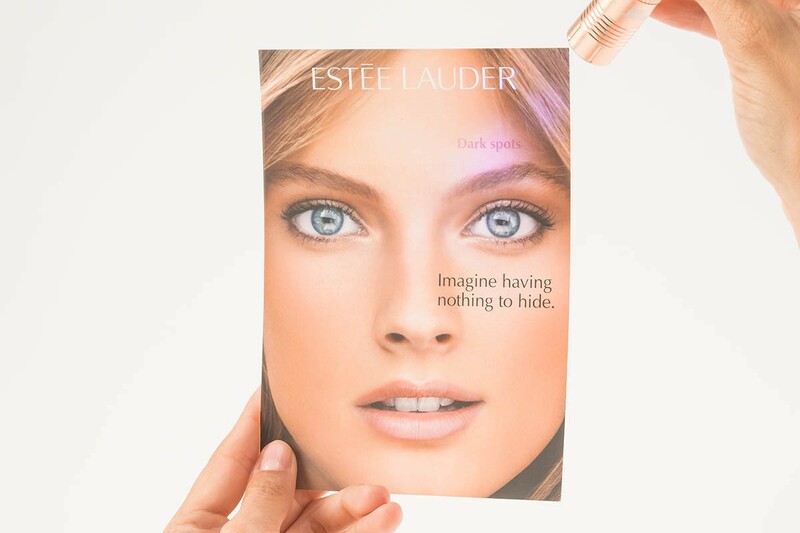 It gives consumers a moment of truth when given the possibility to see how ESTÉE LAUDER products protect skin against harmful UV rays. 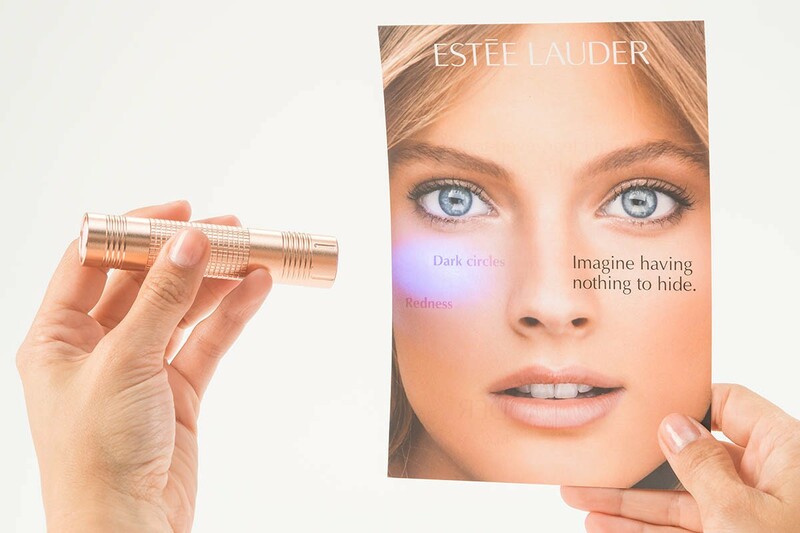 This dramatic test was used to make consumers aware of the necessity to protect their skin against UV radiation. 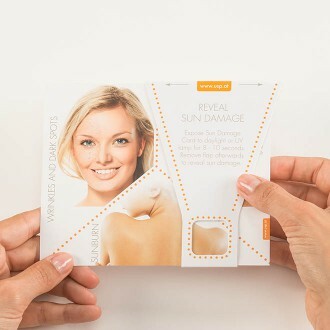 It educated them about the effects UVA and UVB rays have on their skin by displaying the consequences on a card which was exposed to sun or UV (lamp) light. 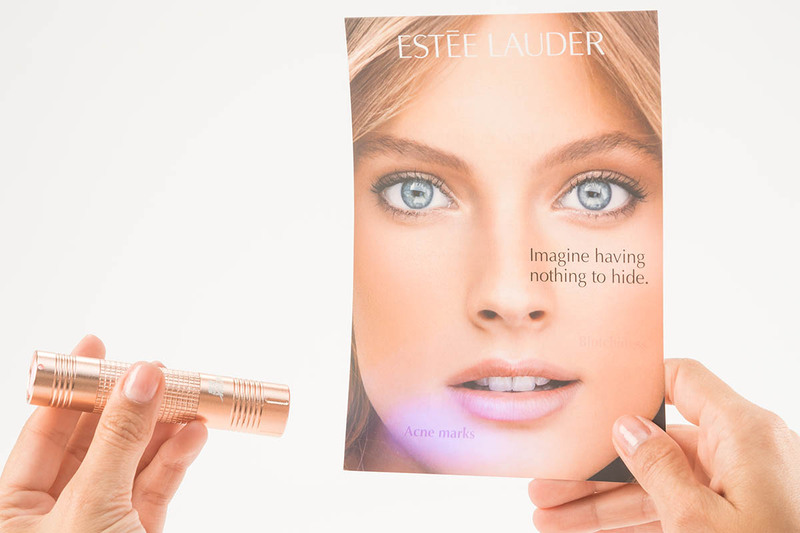 Expose whole face to daylight or UV light (when used for indoor demonstrations) for 10 seconds. 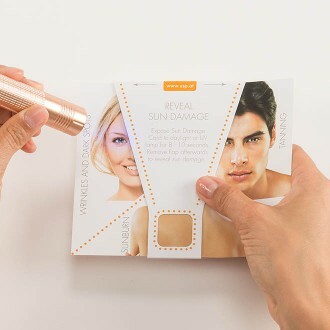 The face will react to UV rays by showing the consequences of sun exposure. Withdraw face from UV rays and wait until it returns to original image. Cover half of face with ESTÉE LAUDER product and expose whole card to UV rays again for 10 seconds. Discover the difference between the protected and unprotected sides of face: the protected side (covered with ESTÉE LAUDER product) will not change; on the unprotected side, the consequences of UV exposure are shown. Place card in front of you. Protect one side of the face with the flap (move flap over half of the face). Then expose card to sun or UV lamp (395 to 400 nm) for about 10 seconds. Remove flap and compare protected and unprotected area. The unprotected area shows signs of sun damage: wrinkles and dark spots. Please fill out the form below and we get back to you shortly.